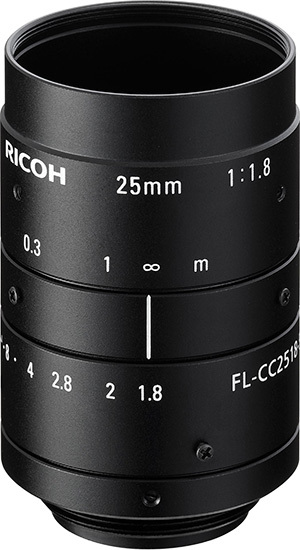 On April 1, RICOH Industrial Solutions Inc. is launching a new 25mm 5MX lens to expand the line-up of the two existing 2/3” 12 and 16mm 5MX lenses for 5 Megapixel cameras released in October 2018. As well as the previous 12 and 16mm lenses, the new 25mm model uses JIIA (Japan Industrial Imaging Association) lens standards, that satisfy S Rank* (Best Performance Class) criteria, allowing the lenses to take high resolution, high contrast, sharp images over the entire sensor at all working distances. The new lens features a Φ33mm compact design, despite its 5 Megapixel high resolution. Its 25mm focal length providing the field of view required by most standard integrated devices, and its size allowing a high degree of freedom with lighting and equipment positions. The lens provides a high resolution image right up to the periphery and has low distortion, making it ideal for visually inspecting high density printed circuit boards, confirming hairline cracks and other surface defects on sheet metals, checking for missing pixels on LCD monitors, inspecting multiple aspects simultaneously such as the shape, color and surface of food and pharmaceuticals for errors and in making detailed inspections of a wide range of objects. Furthermore, this new high-resolution lens can also be used as a visual sensor in any machine vision systems. Lenses up to 2 Megapixels are currently dominant in the FA camera market. However, the market is transitioning to higher resolution lenses. By extending our line-up of high-performance 5 Megapixel lenses, we are now able to respond further to the diverse market requirements. Our goal is to continue developing new products and further expand our business in the FA lens market. 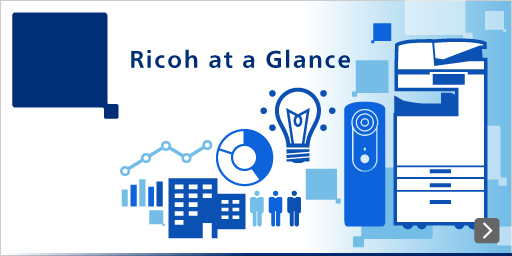 RICOH's area scan lenses currently range from VGA to 12 Megapixel resolution, supporting sensors from 1/3” to 1.1”.